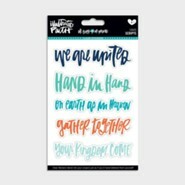 Colorful "Icons" clear stamps from DaySpring add beauty and originality to your Bible journaling, devotional, and art projects. 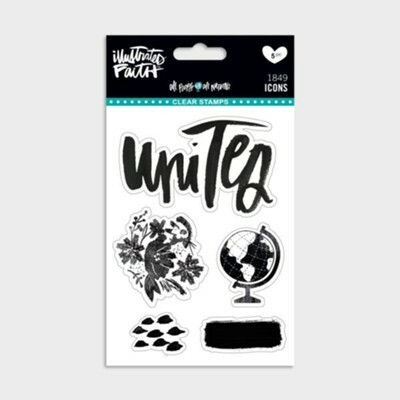 Inspired by John 3:16, these Illustrated Faith stamps are easy to use and are reusable. 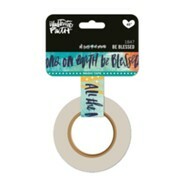 Just peel the clear stamp from the acetate sheet, place on the Illustrated Faith clear acrylic block (sold separately), and stamp—that's it. 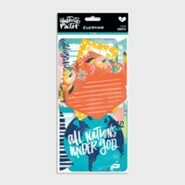 I'm the author/artist and I want to review All People, All Nations Stamps.